Pack for a Purpose is delighted to hear about how PfaP travelers from across the globe continue to make a Big Impact in South Africa. 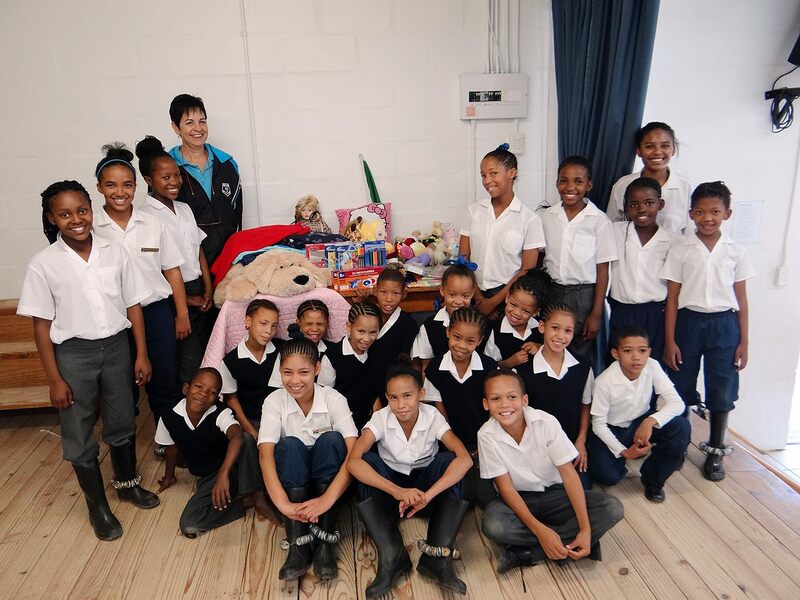 German travelers who recently Packed for a Purpose at the Bushmans Kloof Wilderness Reserve & Wellness Retreat had the opportunity to personally deliver their 15 kilos of supplies to Elizabethfontein Primary School. Making arrangements to deliver supplies to a project must be done with the assistance of the accommodation or tour company. While many travelers enjoy delivering their supplies in person, sometimes this is not possible. However, knowing your items will be delivered to the project still allows you to make a meainingful contribution to the communities you visit. Bushmans Kloof has been partnered with Pack for a Purpose since November 2012. The project they support, Elizabethfontein Primary School, is a boarding school housing 230 children. The school’s dance troupe, the BETJIES, has become a popular attraction in the region. In addition to receiving a tour of the school, the German guests were treated to a gumboot dance show performed by the students. Pack for a Purpose is thrilled that PfaP travelers continue to practice responsible tourism, making their travels meaningful and benefitting local communiities around the world. We applaud Bushmans Kloof and all our participants for the impactful work they do in their communities.